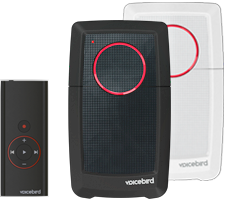 Voicebird connects to your mobile phone and headset and allows you to record conversations. Voicebird lets you concentrate on the conversation while documenting both sides of the call. No more need for unreadable notes. Voicebird.com offers you a unique and intuitive way of storing and managing your Voice-files.Connect Voicebird to your computer and upload your Voice-files to your account at voicebird.com or to your PC/Mac – it’s that simple! Voicebird.com allows you to playback, share and transcribe important phone calls.Share your phone meetings with the team, or give them a quick transcribed summary – no forgotten points, no missed opportunities! 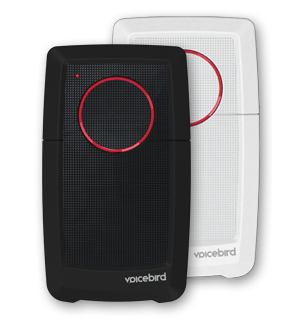 Voicebird Mini connects to your mobile phone and headset. It’s wired, it’s simple, and it’s effective. It is perfect for the active lifestyle as well as a day at the office. Voicebird.com allows you to playback, share and transcribe important phone calls. Share your phone meetings with the team, or give them a quick transcribed summary – no forgotten points, no missed opportunities!